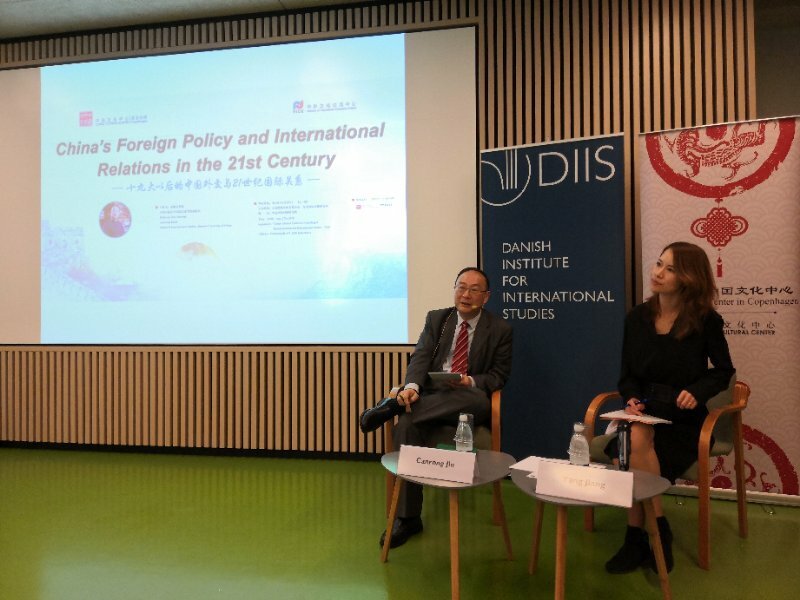 On August 27th , professor Jin Canrong, a well-known international politics expert, invited by China Culture Center in Copenhagen, Center for International Cultural Exchanges, Ministry of Culture and Tourism, and Danish Institute for International Studies(DIIS), to attend seminar of “China’s Foreign Policy after 19th National Congress”. The theme in this seminar is China’s Foreign Policy and International Relations in the 21st Century. 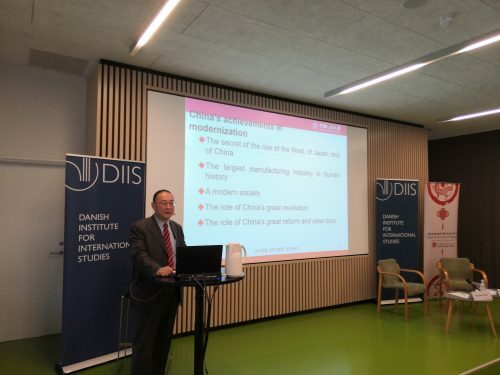 Prof. Jin serves as deputy president and professor at the School of International Studies at the Renmin University of China.